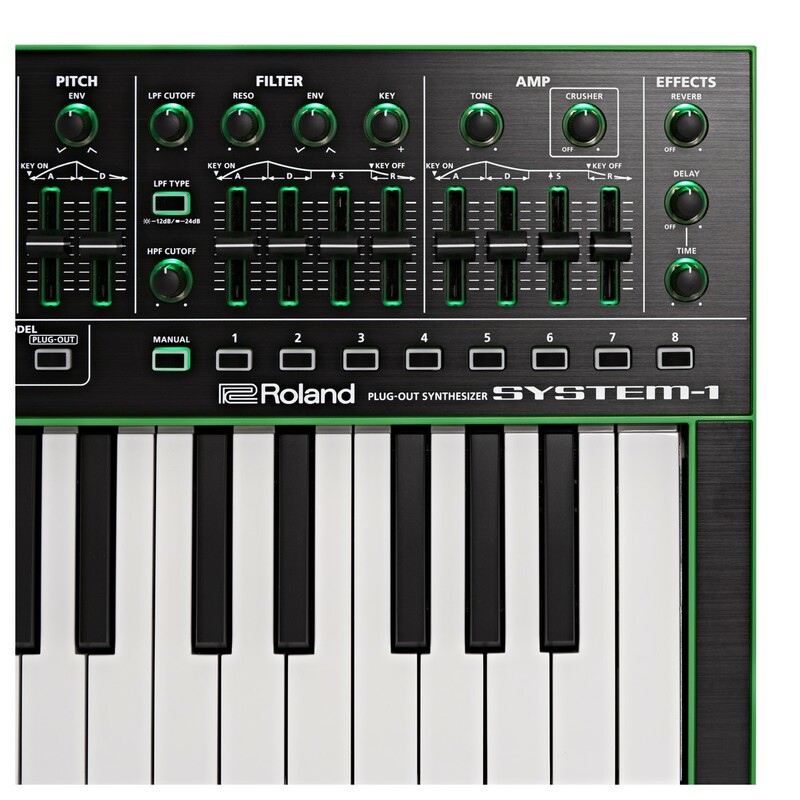 The Roland SYSTEM 1 is an innovative and performance ready synth. Roland first launched the SYSTEM 100, 100M and SYSTEM 700 modular and semi-modular synthesisers in the '70s. Since then, they've been used by visionary artists on countless classic tracks. Now, the SYSTEM-1 takes centre stage. 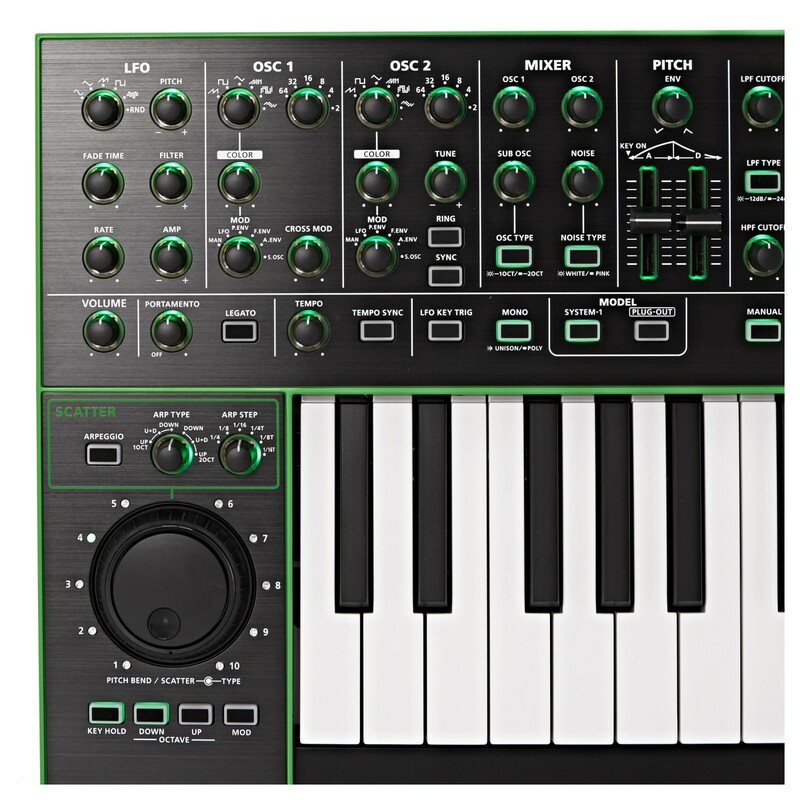 Roland's Analogue Circuit Behaviour technology faithfully recreates the essence of classic analog sound and character with the addition of remarkable flexibility plus the ability to control and even host plug in versions of legendary Roland synths. 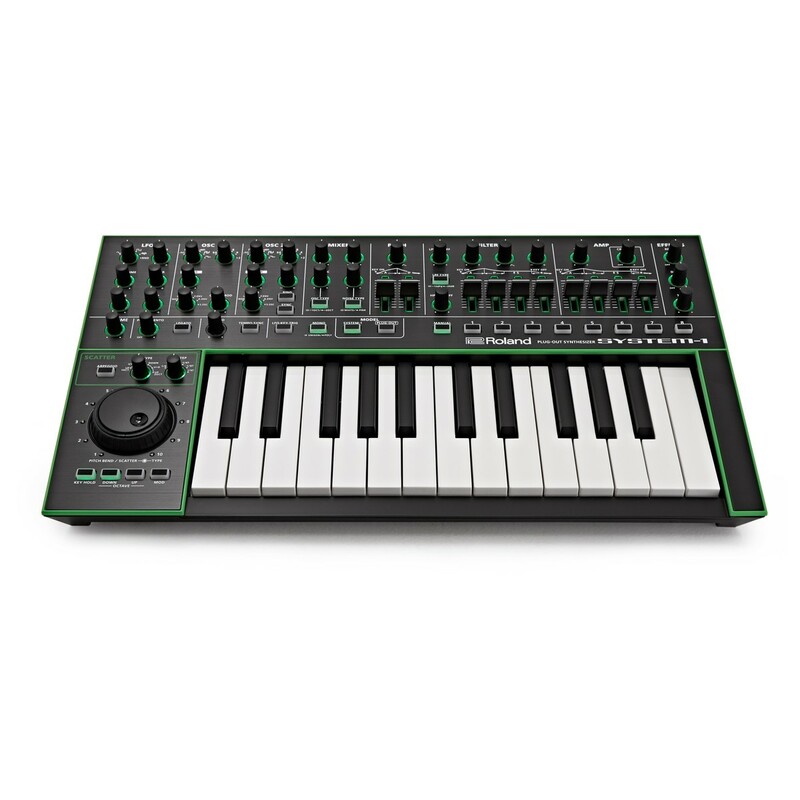 A groundbreaking new synthesizer, the Roland AIRA SYSTEM-1 gives remarkable, flexible access to a vast palette of synthesised sounds with the bold, unmistakable character associated with Roland synths for nearly four decades. 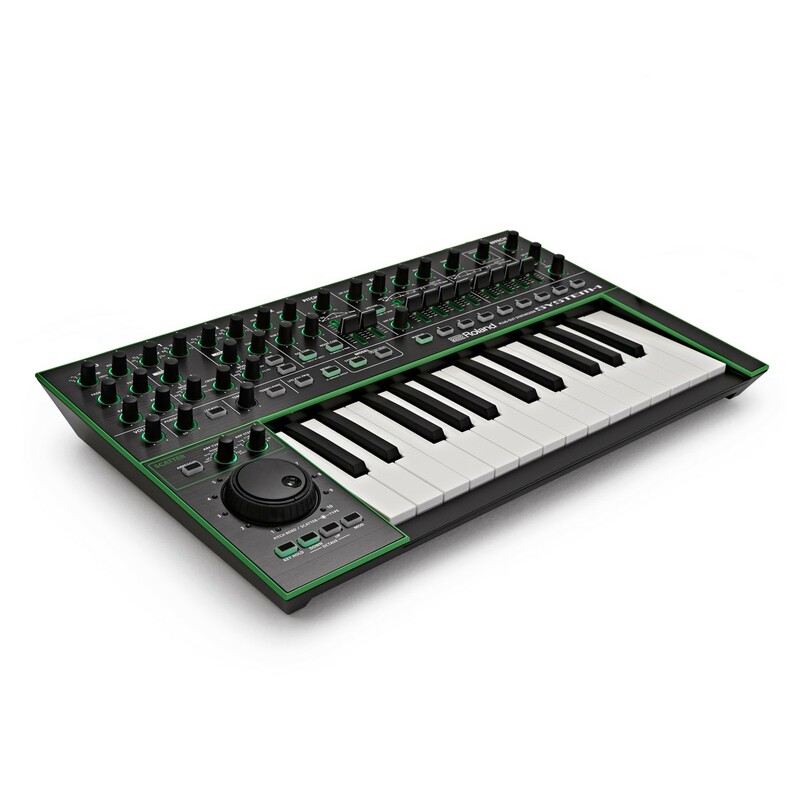 New Roland Analog Circuit Behaviour technology has been used to carefully analyse every detail of the analog circuits in the SYSTEM synths and fully recreates them down to the finest details. This technology fills the SYSTEM 1 with a fusion of cherished classic and utterly modern synthesizer tones. It doesn't stop at the ACB technology. The Roland SYSTEM-1 can even host software recreations of classic Roland synths, on the system itself, with no computer required! 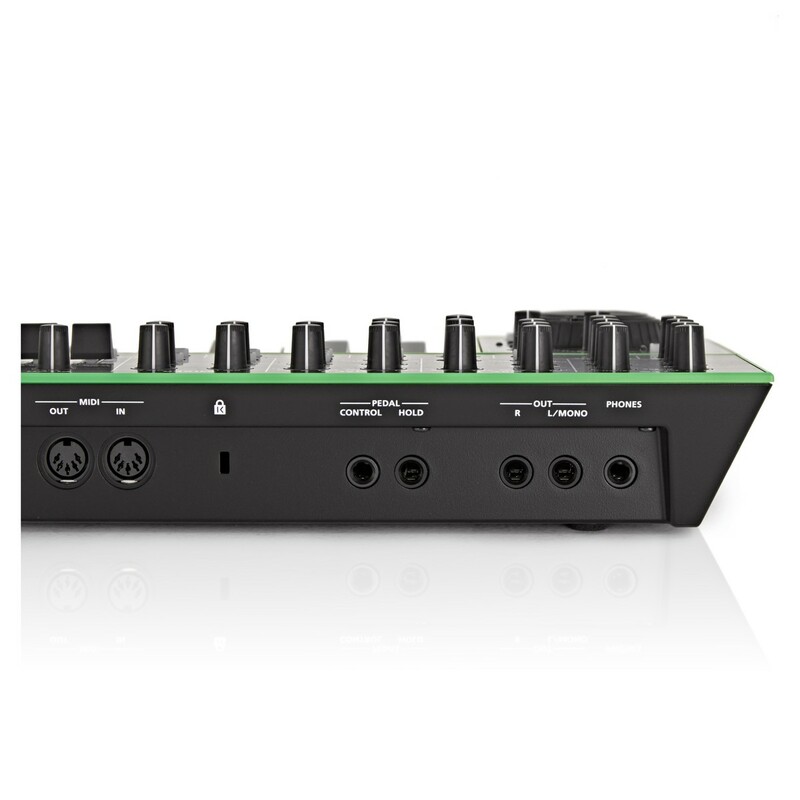 Switch between the SYSTEM-1 internal sounds and the hosted plug-in. This technology is called 'Plug Out'. 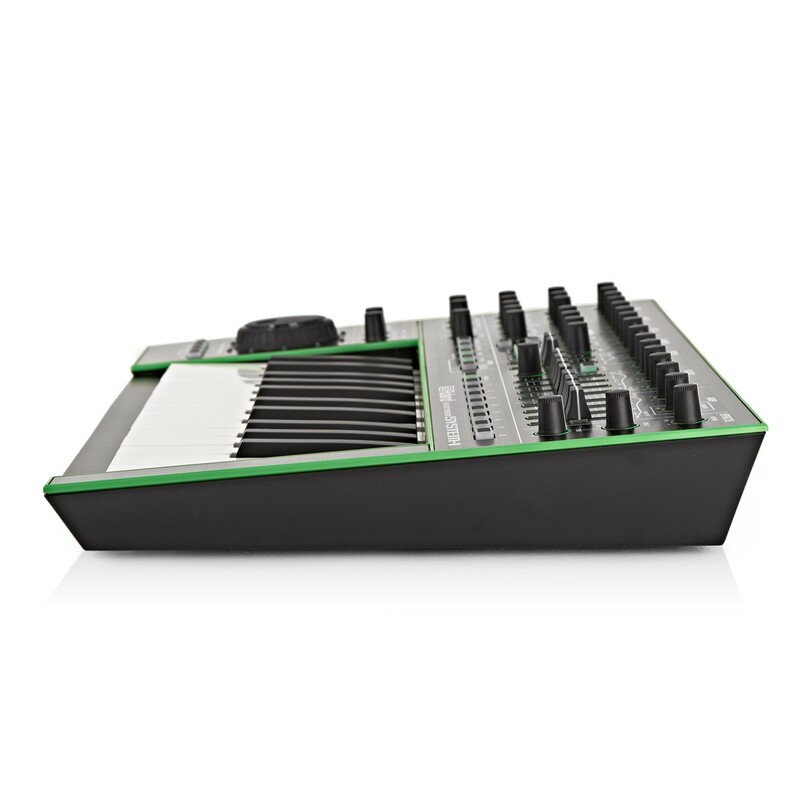 Nobody could make a better plug-in version of a Roland synth than Roland. 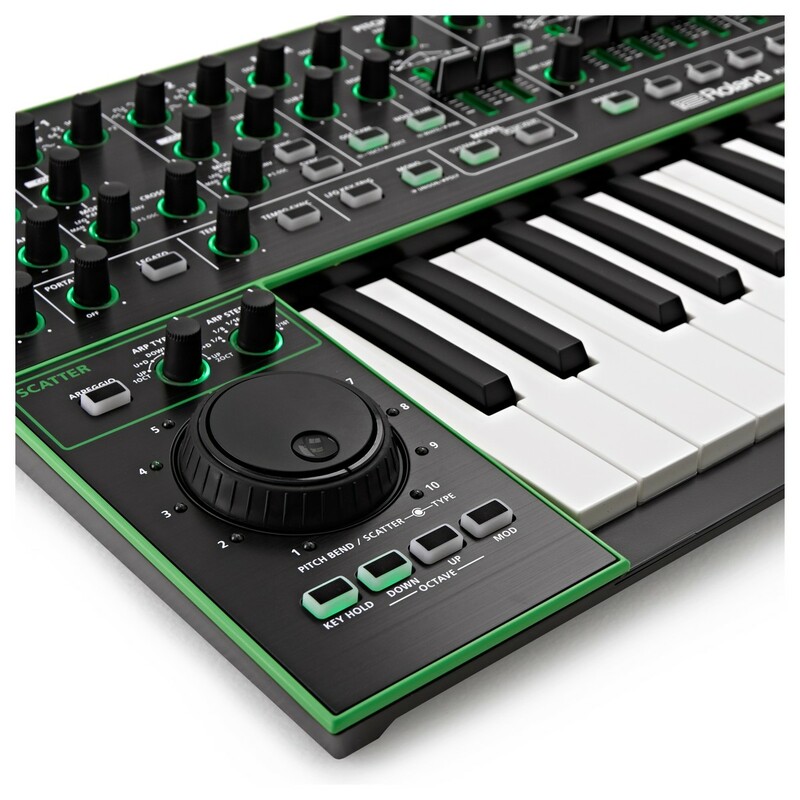 The AIRA SYSTEM-1 will allow you to experience the superior authenticity of legendary synths, such as the SH-101, through software. 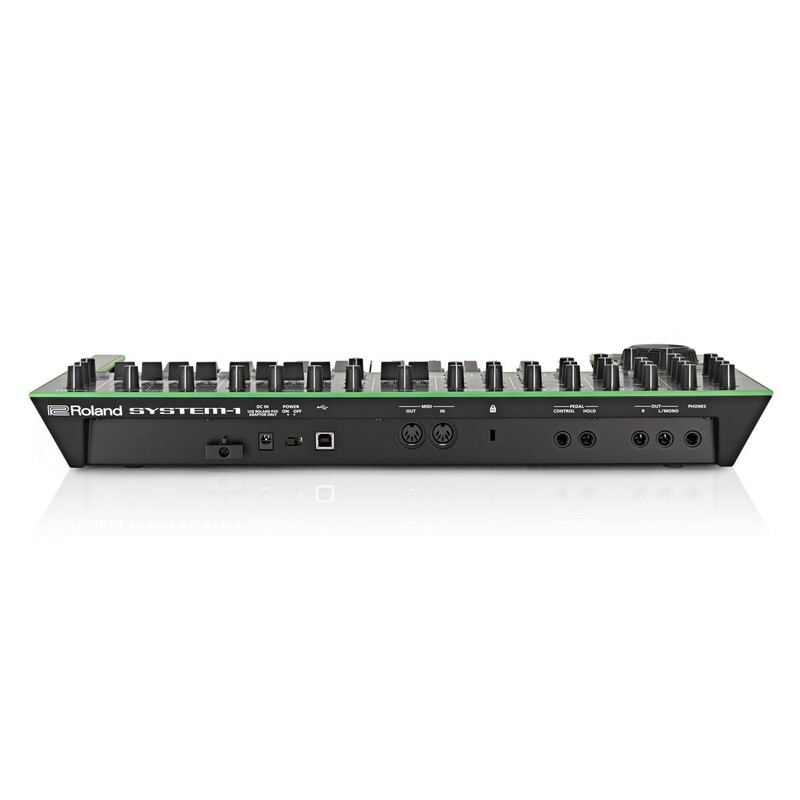 SYSTEM-1 provides an intuitive and fully automatic one-to-one control interface that really works. 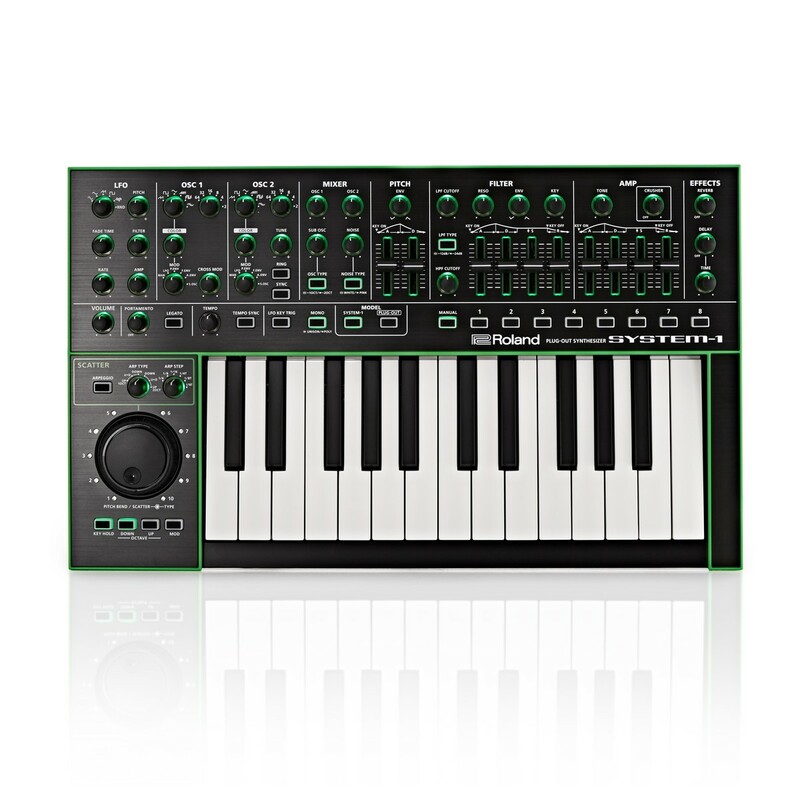 The SYSTEM-1 integrates seamlessly with the other products in the Roland AIRA Series, can receive MIDI clock information to sync with external devices and can be connected to your computer via USB. The totally innovative design of SYSTEM-1 features performance-ready controls, quality construction and an array of lights, knobs and sliders.